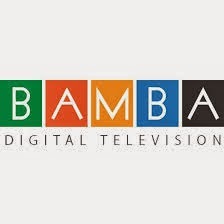 Bamba TV is a free to air decoder by Radio Africa. What this means is that other than the price of the decoder which is Ksh. 3, 299 you will not be paying monthly subscription fees like in GOTV, Startimes, DSTV and Zuku. i have bamba decoder but most channels go off air.can you do something to improve the reception. Try installing the aerial higher and face it in different directly until you have the strongest signal. can you do something about it. Is there a Swahili movies in bamba TV? in mombasa we are only able to view the free to air channels only and yet you claim that the ones highlighted in blue are availableand yet the signal quality is 100%.Why? how comes u dont air other local Tv stations ??? Why can't I watch Citizen or Ntv? hi, am in changamwe mombasa and the only channel i can view is the GOTVadvert i bought it at tuskys Digo road, what is really the problem? Can you guys please upgrade your services…we are missing the best channels,give us atleast one bolly movie channel like zeeworld. Romamza channel frequently lose sound, and at times the signal. This is without touching or adjusting the aerial.